Viking Books for Young Readers, 9780670035861, 128pp. 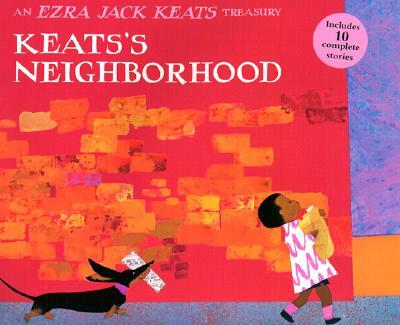 Ezra Jack Keats is widely acknowledged as one of the first people to feature realistic, friendly, multi-ethnic urban settings in his picture books-forever changing the landscape of children's literature in the process. Now this beautiful collection brings together nine of his best-loved stories, including the 1963 Caldecott Medal-winning book The Snowy Day and Caldecott Honor book Goggles!, plus Whistle for Willie, Peter's Chair, Apt. 3, and others. Also included is artwork from an unfinished picture book, The Giant Turnip, published here for the very first time. An introduction by celebrated critic of children's literature Anita Silvey outlines Keats's career and inimitable contributions. In addition, five of the most important writers and illustrators working in the field today share their thoughts on Keats and the legacy he left behind. An afterword describes his incredible life, from his childhood in Brooklyn to children's book legend.